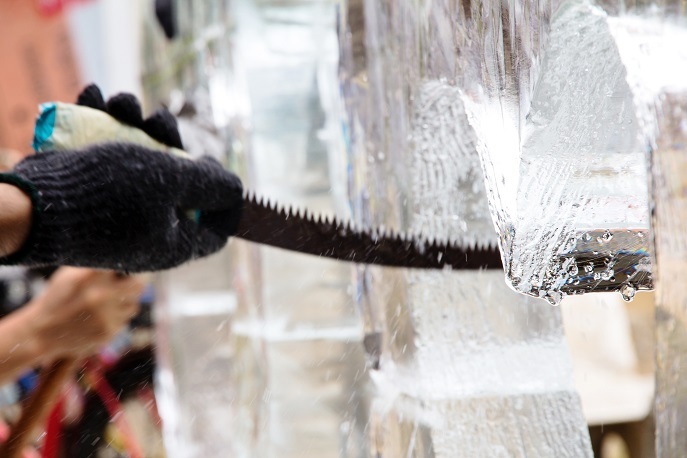 With the tips of the ice artist you create your ice sculpture - a short-lived art. 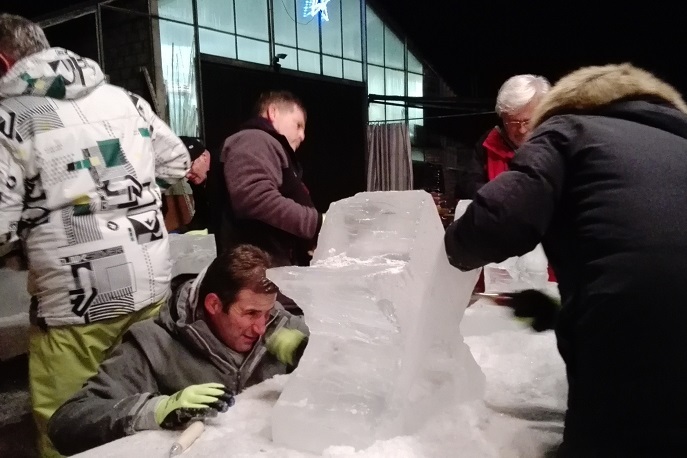 Under the expert guidance of your "ice master", you will create your own artwork out of ice in a team and will, at the same time, discover new sides to yourself and the other team members. You may find yourself inspired by the unexpected creativity and imagination of your fellow employees or colleagues. 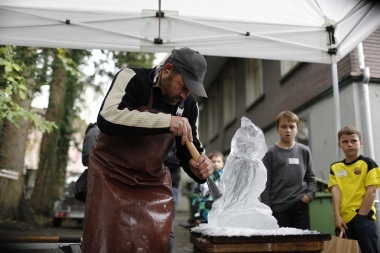 First, you will discuss the topic together and then you will carve the artwork out of a raw block of ice in a team. Good teamwork and communication are required to ensure that the ice sculpture turns out as planned. 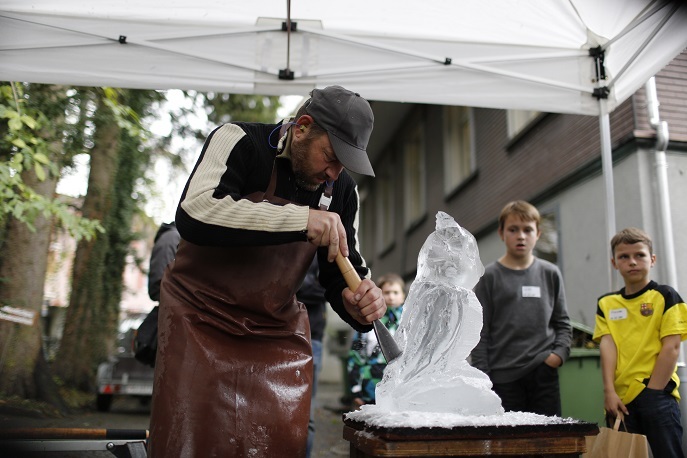 Any ice which may exist between the participants is sure to melt in this workshop! After so much creative work with ice you will be in need of some refreshment. Perhaps a drink? On the rocks, of course! Even more popular, however is a mulled wine appetizer and the popular milk churning fondue. All materials (tools, consumable materials, gloves), workplaces, supervision by experienced guides. Arrival and departure journey of group, delivery of sculptures to your address. As most of our other events, this can also be combined with many further elements. A theme can be given in advance or developed spontaneously.